after meeting its initial goal of 3,50,000 INR. I am a 28-year old published author, professional speaker, theatre artist & entrepreneur from India. From having a stammering problem as a child, to becoming a professional speaker. From walking away from my engineering education & a corporate career, to finding my feet in theatre & writing. And with two entrepreneurial ventures, so far, I have realised my life has been about discovering who I am, and expressing it in as many ways as I can. Fully & fearlessly. This is a crowdfunding campaign to publish my second book. This book, &apos;How I Was Forced To Become A Staunch RACIST&apos; is a story of survival through the 2001 Gujarat earthquake, the 2002 Godhra riots and finally the story of a woman&apos;s journey navigating the minefield that is the start-up world! Art-Right-Is productions – A theatre production house. I am also a published author, my first book, "YOU – You Own Urself" - which is about getting to know oneself - and it was a bestseller. Further, I am a playwright, an actress and a professional speaker. 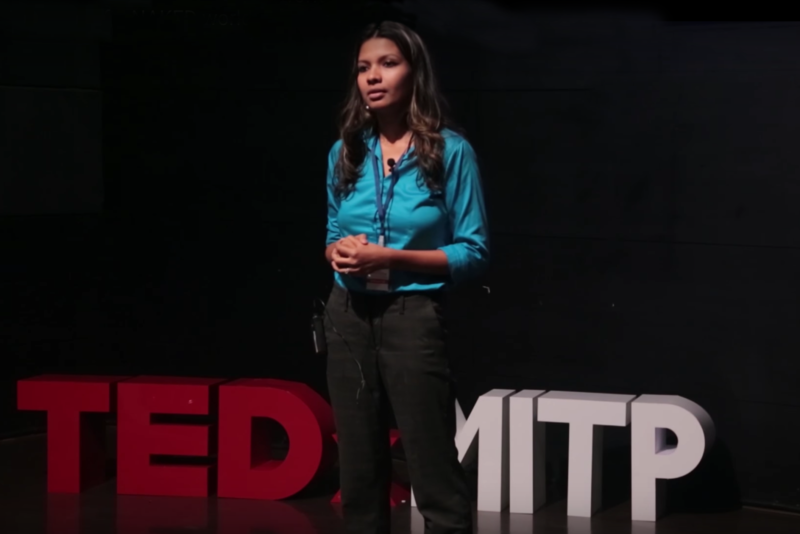 PIC: Sharmin as a TEDxMITP speaker. However, my journey started out very differently. I am by education an Electronics engineer. I passed out from the Visvesvaraya Technological University in 2010. 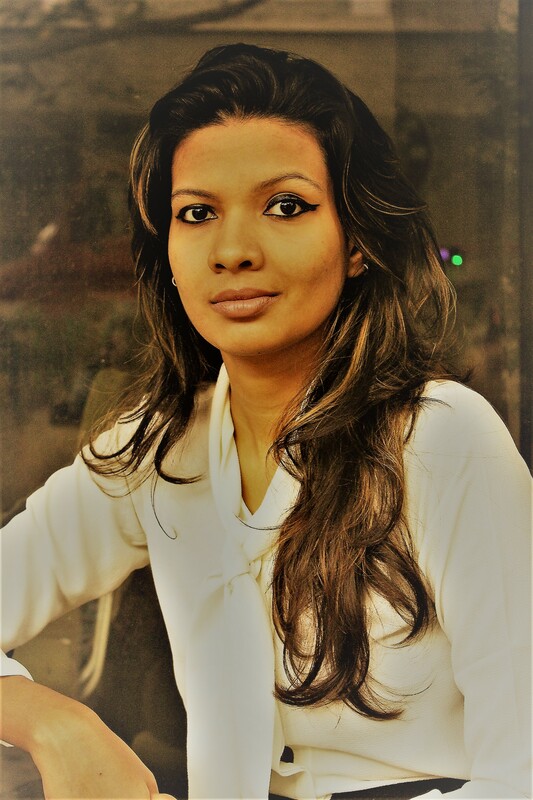 After working for two years with a consulting firm in Bangalore, I decided to quit the corporate culture to pursue my passion for art and literature. This book, "How I Was Forced To Become A Staunch Racist", is my story of navigating through the start-up world as a woman in today’s day and age. I am running a crowdfunding campaign in order to get this book published, because it is a topic that I believe needs dialogue in our society. Have you ever imagined the quantum of pain that a woman goes through during child birth? Did you know that the sum total of the pain a woman bears throughout her lifetime during menstruation is much more than the pain during a single child birth? Do you know there is one pain that beats everything else: the pain a woman CEO goes through during her entrepreneurial journey. This is the story of the brutal truth behind a woman&apos;s journey of following her passion. This is the story of every woman who struggles, fails and rises up again to disappoint that previous failure but finally makes it through. My book is titled &apos;How I Was Forced To Become A Staunch RACIST&apos; and it talks about my journey of entrepreneurship and the hard truths that I witnessed in this RACIST entrepreneurial world and still managed to survive. In this book, I explain the six paradigm pillars of the modern age racism, the unavoidable and incredibly obtrusive sides of a regular hexagon: Parenting, Virgin Evolution, Failure, Social Networking, Neuro-Marketing and the Indian startup culture. It is my earnest effort to bring out the brutal picture of our lives by connecting the six dots of this inadvertent hexagon that we so conveniently choose to ignore. How a country with over 800 million people below the age group of 35-40 years in the world&apos;s largest democracy are being churned out into nothing but RACISTs, is my book&apos;s secret rendition. My book is about 240 pages long and would categorise under the non fiction genre of books. I plan to write a sequel to this book titled &apos;The Virgin Evolution&apos; that would bring about a highly indiscreet picture of the Indian youth around the very crucial subjects of virginity, female foeticide and the Gen-Y outlook. I have been a TEDx speaker. A platform I have used to raise awareness about the realities that face us through both our personal and professional lives. How they shape us and how we can learn from them. Use the hurdles placed in front of us to propel us towards success. Be it my encounter with the son of a deceased farmer from Dharwad who went on to rock the doors of IIT, because of his servant mother, whose hardships are the examples of a living legend OR be it meeting a series of misogynistic and callous investors whose ideologies about womanhood would shock the world OR be it the life threatening experiences of the Gujarat earthquake and the heinous riots that deprived me a playful childhood, my book is the story of every common woman who&apos;s refused to accept and do favours just for the sake of running a million dollar company. This book shows the gruesome picture of the startup world and how I survived being bootstrapped for so long. 2017 is the year to push back against normalisation and sensationalist rhetoric. The way to start that is to tell your story, and tell it loud, open and clear. I need you to help me tell my story as loudly as possible. More specifically, I need INR 3.5 Lakhs to take the book to print. When the campaign goes past the goal of INR 3.5L, the goal will stretch to INR 4.2L which will go towards the marketing, PR and promotion of the book. Back &apos;How I Was Forced To Become A Staunch RACIST&apos; and be part of a production that boosts a common woman&apos;s voice at a time when it is the most needed. 1. How I Was Forced To Become A Staunch Racist is a completed manuscript. Post funding I will have to design, edit and typeset the manuscript. I estimate that this process will take 3 months after funding & that the book will be printed by the end of month 4. There maybe delays in these timelines owing to many reasons & that is the only risk and challenge I foresee. I shall ensure that I keep updating all you funders on the printing timelines, so that any such delays are made known to you well in advance. 2. There might be delays in the printing of the book in the event of unforeseen circumstances like, issues with designing and type-setting and natural calamities. 1. What is the book called? 2. How many pages does it contain? This book will have 240 pages. 3. Is it going to be a paperback or a hardback book? This will be a paperback book. 4. How does crowdfunding work? 5. If a publisher agrees to publish my book? During the course of the campaign incase a publisher agrees to publish the book it will ideally be only a part of the cost and not the whole. I will still need funds to complete the printing of 500 books and shipping them out. I shall in that scenario use a part of the funds for marketing and promoting the book. 6. When will the books be printed? The printing of the book will be completed 2 months after the end of the campaign. Sharmin will give you a shout on her Facebook page, a thank you mail and you will receive three copies of the book signed by the her. Sharmin will give you a shout on her Facebook page, a thank you mail and you will receive 5 copies of the book signed by the her. Your name will be printed in the acknowledgements at the back of the book. Sharmin will give you a shout on her Facebook page, a thank you mail and you will receive 5 copies of the book signed by the her. Sharmin will give you a shout on her facebook page, a thank you mail, you will get seven signed copies of the book and your name will be printed in the acknowledgement section at the back of the book. You will be rewarded with a special mention in the front of the book along with the special acknowledgements. You will also receive a facebook shout out, thank you mail and ten signed copies of the book. You will receive a special mention in the front of the book along with your photo in the acknowledgements section. Sharmin will also host a special lunch for you in Bangalore and you will get ten signed copies from her.